To build muscle & lose fat, you'll need to consume a balanced diet complete with lean protein, veggies, fruits, complex carbs and healthy fats. Yes, fats. Fat is not what makes you fat, contrary to popular belief and you NEED it in order to build and maintain muscle. Protein is another key nutrient you need to help aid in fat loss since it has a higher thermic effect than carbs and fats. This means, after consuming it, your metabolism works slightly more efficient, thus leading to more efficient fat loss. When you eat healthy fats, your body holds onto less fat. 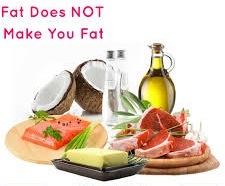 Eating fats tells your body it's not in starvation mode, it's going to keep getting fat so it can let the fat you have go....no need to store if for the winter! Fruits and veggies are just necessary as well. They help you recover from grueling workouts and fuel your muscles so you have steam when you get to the gym. Many struggle to consume all of these foods, each day, throughout the day but you really don't have to. Just choose wisely and add foods to your daily diet that will give you each of these nutrients in the most efficient way! Information is key and knowing WHAT to eat will help you reach your goals much sooner! Here's a list of the top 20 foods that help you build muscle and burn fat! 1. Whole Eggs: Cheap & rich source of protein: 7g/egg. The yolk contains most nutrients: half the protein, vitamins A/D/E and cholesterol to naturally increase your testosterone levels. Don’t worry about cholesterol in eggs. Dietary cholesterol isn’t bound to blood cholesterol. If you have bad cholesterol, lower your body fat rather than throwing the yolk away. 2. Fish Oil: Reduces inflammation (joints/skin), lowers body fat and increases testosterone levels. You need 9000mg EPA/DHA per day. Since you’ll probably struggle to get that from eating fatty fish, consider a fish oil supplement. 3. Wild Salmon: One of the best sources of omega-3 fatty acids that also gets you 20g protein per 100g serving. Farm raised salmon is, however, omega-3 deficient: it’s corn/grain fed. Go with wild salmon. 4. Berries: Strong antioxidants that prevent cancer, heart & eye diseases. Any kind works: cranberries, raspberries, blackberries, blueberries, etc. Buy fresh or frozen berries and mix with oatmeal or a protein/nutritional shake. 5. Yogurt: Contain bacteria that improve your gastrointestinal health. Don’t buy frozen yogurt or yogurt with added sugar and fruits at the bottom. Get plain low fat yogurt. Eat it with berries, flax seeds, honey, steel cut oats, fresh fruit, etc. 6. Flax Seeds: Source of fiber, protein & omega-3. Grind the flax seeds to get the most out of them. Take 1 tbsp with yogurt & berries before going to bed. Stay away from flax oil: it’s unstable and contains no fiber. 7. Extra Virgin Olive Oil: 70% monounsaturated fats that protect against heart diseases and cancer. Add 1-2 tbsp olive oil to your salads. Buy Extra Virgin Olive Oil: it contains more polyphenols and tastes better. 8. Mixed Nuts: Contain mono- & polyunsaturated fats, proteins, fiber, vitamin E, zinc, potassium, magnesium, etc. Mixed nuts are caloric dense, great if you’re a skinny guy who wants to gain weight. Anything works: almonds, walnuts, cashews, hazelnuts, … Peanut butter also works as long as you buy natural peanut butter without added salts/sugars. 9. Virgin Coconut Oil: Healthy medium chain fatty acids in coconut oil do not circulate in the bloodstream like other fats. They are sent directly to the liver and converted into energy versus being stored as fat. 11. Spinach One of the most alkaline foods. Spinach prevents muscle & bone loss, but also cancer and heart diseases because of its high nutrient profile. Try one of my many Shakeology recipes with loads of spinach in it! 12. Turkey: If you don’t believe saturated fat is good for you, try white turkey. The leanest beef has about 4.5g saturated fat/100g, while white turkey has close to 0g (that why it’s so dry). Eat turkey with spinach & quinoa. 13. Quinoa: South American “king of grains”. Quinoa is higher in fiber & protein than rice or oats, tastes a lot better and is gluten free. Buy the whiter grain, it’s better quality. Eat it post workout with meat & spinach. 14. Oats: Reduce cholesterol, provide you with low-gi carbs for energy, and high in soluble fiber. Try having it post workout. 15. Tomatoes: High in lycopene, which prevents cancer. The lycopene in tomato paste is 4 times more bioavailable than in fresh tomatoes. 16. Oranges: Vitamin C to fight diseases, magnesium to lower blood pressure, anti-oxidant beta-carotenes, etc. Avoid drinking processed orange juice which often has added sugars. Eat oranges or make your own orange juice instead. 17. Apples: Pectin in apples helps weight loss by increasing satiety. Apples are also the strongest antioxidiant after cranberries (eat the peels). Unfortunately apples are one of the most pesticide-contaminated fruits too so go organic when you can. 18. Carrots: Their huge vitamin A content improves eye-health, especially night vision. Carrots are also rich in fiber, low calorie and taste good, even raw. 19. Water: Your body holds water if you don’t drink enough so, contrary to what you may thin, the MORE you drink the LESS bloated you'll be. Drinking prevents water retention, helps muscle recovery and prevents dehydration from strength training. Get a water filter and try to drink 2 cups of water with each meal, totaling at least 100 oz per day. 20. Green Tea: Strong antioxidant and natural diuretic. Green tea also speeds up fat loss, prevents cancer and improves blood sugar & circulation. Drink green tea in the morning instead of coffee. So, to wrap this up... the key is to eat every 3 hours. Try to make a habit of having at least 2 cups water with each meal and reaching 100 ounces each day. If you can, make a habit of having carbs in the morning or early afternoon only and, when possible, have complex vs simple carbs. They're used more efficiently by the body and having them earlier in the day will guarantee they're burned off, not stored as F-A-T. And junk food (aka treats) are ok but NOT all the time! 85/15 rule remember!